Carpets are more of a necessity than a luxury in our homes and offices. They provide added comfort, soften falls and minimize noise. But to serve their purpose well and have a long lifespan, carpets need to be professionally cleaned regularly. When it comes to carpet cleaning, professionals can use a range of methods & equipment to get the job done. One such is Bellevue, WA. Truck mount carpet cleaning which utilizes not only the strongest but also the most powerful cleaning equipment available. 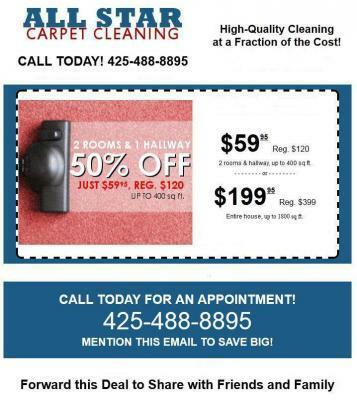 Why Truck Mount Carpet Cleaning? If you decide to do the job on your own, you’ll need to carry cleaning solutions, a vacuum cleaner and other tools into your house. This can be tiring, even if you get assistance from other family members .The truck mount professionals, on the other hand, only need to carry few items into your house. You won’t have water buckets, noisy machinery or chemical bottles all over your living room. In fact, the technician only needs to bring is a hose with an attached cleaning wand into the house. And at the end of the cleaning process, all the tech will need to do is wrap up the hose and go home, leaving you with a fresh and spotless clean carpet. One of the greatest advantages of truck-mount cleaning is the quick setup & cleanup, which translates into a both fast and efficient job, a truck mount tech would be working on your carpets Before most other types of carpet cleaning and therefore complete the task much earlier. This in turn means that your rugs will dry much earlier and allow you to resume your normal activities.